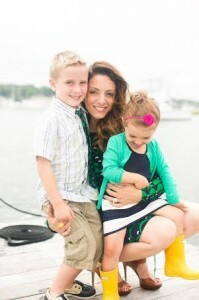 This week I am so honored to introduce you to Cara Belvin. I’ve known Cara for years, and from the moment I met her I knew she was someone truly amazing. 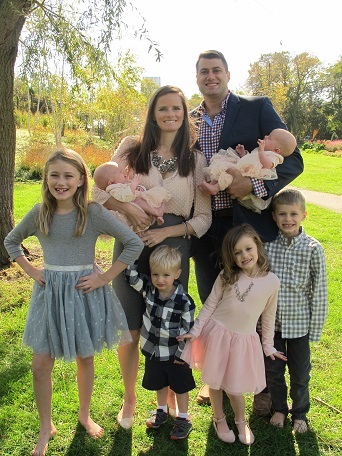 She is always doing something – taking care of her two kids, raising money for cancer research, launching her own business. She really does it all with grace and a fabulous sense of humor. Cara’s newest endeavor takes her to the next level. Last year she launched empowerHER, a non-profit organization that helps young girls who have experienced the early loss of their mother. empowerHER instills confidence and reduces isolation through a community of sisterhood, offering hope to every girl they serve. Wow. Just WOW. HomemadeMothering: Hello, Cara! Thanks for taking the time to tell everyone about empowerHER. To get started, tell us a little bit about yourself – where you are from, your family, etc. 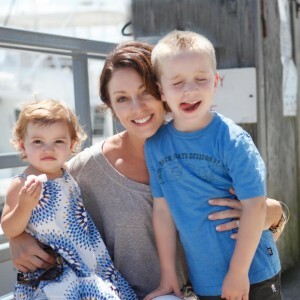 Cara Belvin: I was born and raised in Connecticut where good schools, great friends, and caring families helped shape me into who I am today. 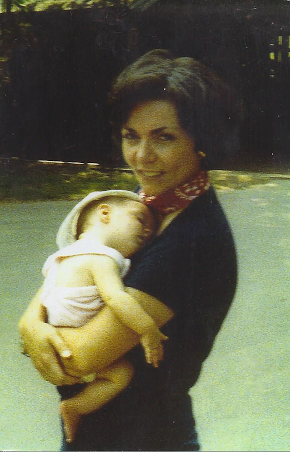 My mother passed away at the young age of 37 after a two-year battle with breast cancer. My father is a loving man who always put his children first and thankfully my mother’s family and friends were incredibly supportive, loving and protective as well. Fast forward a few years and I find myself here in Scituate, a coastal town in Massachusetts – with the love of my life and two incredible little human beings. I am the founder of Murphy & Company, a nonprofit consulting firm in Boston and more recently the founder of empowerHER, the volunteer-driven nonprofit for young girls who have lost their mother. HM: Why did you decide to launch empowerHER? CB: I recognized need in the community, I suppose. I was looking around at these well-meaning women in town who were heartbroken for a family in which a young mother had passed and I knew they would do anything to help. Naturally, there are several reasons why they might hesitate to get involved or to offer support to the young daughter, in particular. I thought, perhaps I can create a forum for us to talk about it, offer help to the family in a way that would not be intrusive, and support that is targeted so that it is when and how the father or family would appreciate it. I knew mentorship would become one of the aspects of empowerHER. And, I suppose when looking back on my childhood and the wonderful layers of support I had following my mother’s passing, I realize I had a very difficult time talking about her and knew very few other young girls/women who could relate to my loss. Perhaps I feel in some ways, my grief remained unresolved until I finally found a way to talk about her and found others who could relate. For that reason, I knew empowerHER could offer the opportunity to young girls from different communities the opportunity to come together. HM: Can you tell us about your mom? What was she like? What did she enjoy doing? 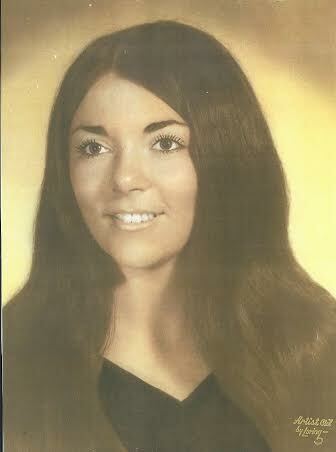 CB: My mom was a girl’s girl. She always had a big group of friends around her. She was funny, smart and beautiful. I was nine years old when she died and like most girls who lose their mother too young, she was angelic. She was perfect. However, as I got older and her family and her friends shared stories and I looked through pictures I realized she wasn’t perfect. She had flaws as do all of us, especially us moms of young children just trying to savor every moment (while worrying incessantly about them) and trying to get it right. My mother was a teacher turned stay at home mom, turned Tupperware saleswoman (and great at it – we had the company car and all)! HM: What has been the biggest challenge in starting empowerHER? CB: Patience. If empowerHER is helpful or seen as a welcomed support in any of the girls lives, then I want (need) it to grow and be available to others across the country. But, it takes an incredible amount of time and resources to be in a position where you can make that happen. For anyone who has ever thought of forming a nonprofit, I’m sure this would come as no surprise but it is much harder than one could ever imagine! HM: What has been the biggest reward (so far)? CB: The rewards are countless. To spend the time on a personal endeavor like this is a luxury that I don’t take for granted. To honor my mother with this, to pay tribute to my family and friends that helped me, and to offer some support, albeit small in the face of a tragedy, to a young girl is so gratifying. Truly immeasurable. HM: What are your goals for the coming year? 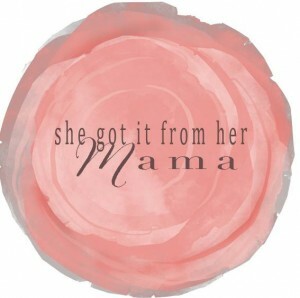 CB: The 2014 Mother’s Day Retreat is our next big event and perhaps the sole event in which we were founded. We want to give the girls something to look forward to the week leading up to Mother’s Day…to pack their bags and get away. And, to be able to connect with others who can relate to their loss. But the big picture goals include gathering as much feedback as possible. empowerHER needs big ideas and to hear from as many people as possible about just how to help. I personally would like to hear from more families and young girls about just what might be most helpful at different times in their lives. But, most importantly I want to offer young girls a place where they can talk freely about their mother, share their grief and also celebrate their mother who so desperately would want them to be happy. I want them to see all the beautiful things in this world that are still at their fingertips. You could also say one of my goals is to simply keep moving forward when there are many times it feels this is far too big an undertaking and quite simply an impossible idea. HM: How can people help this wonderful organization? CB: Donations of any amount are so impactful. As a volunteer-driven organization fundraising can be time consuming and therefore can take away from our mission-related activities. And, we are in need of your big ideas! We need thought leaders; visionaries who can help outline a plan that will have the greatest impact. For more information please visit http://www.empoweringher.org/ and like us on Facebook! 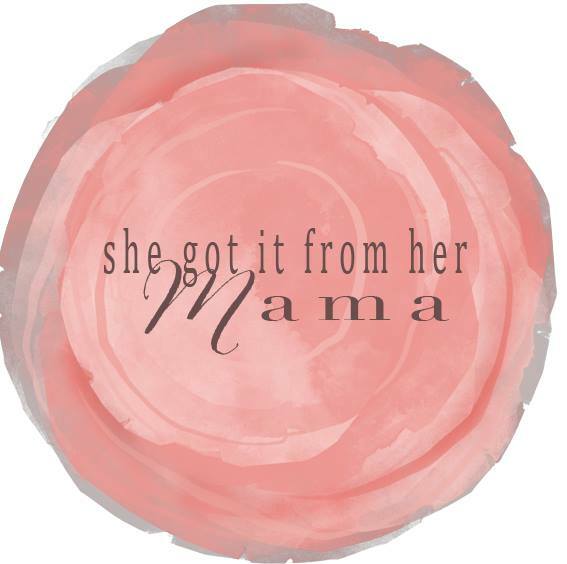 And, join our She Got it from her Mama campaign currently on Facebook and instagram! Mauren – you are an inspiration to me! And I must say this endeavor has been the work of so many fantastic volunteers and supporters. A real labor of love!